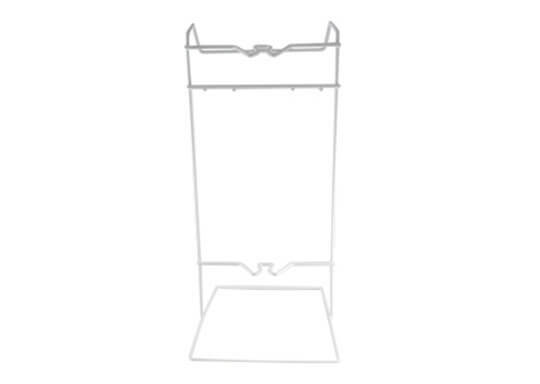 The Flexicare Bag Stand is tough, durable and designed to hold any 2L bag ensuring the tap is held clear of the floor to prevent potential contamination and ascending infection risk. The metal stand is plastic coated making it easy to clean and ensuring that there are no sharp edges. The plastic coating makes the stand it easy to clean. The tough, durable design makes the metal stand stable when holding 2 Litre bags.